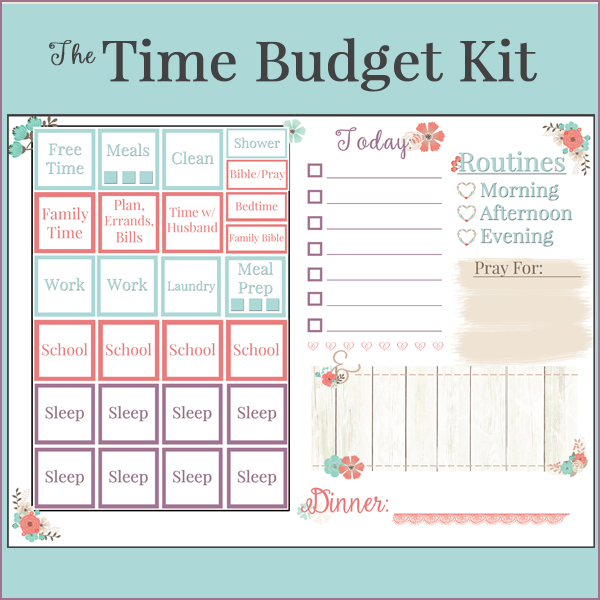 Homemaking 101 covers cleaning, cooking, budgeting, bill paying, child training, scheduling, blessing your husband, organizing, and so much more! This film will be a delight to the Christian wife who desires nothing more than to be a joyful keeper at home, all for the glory of God! 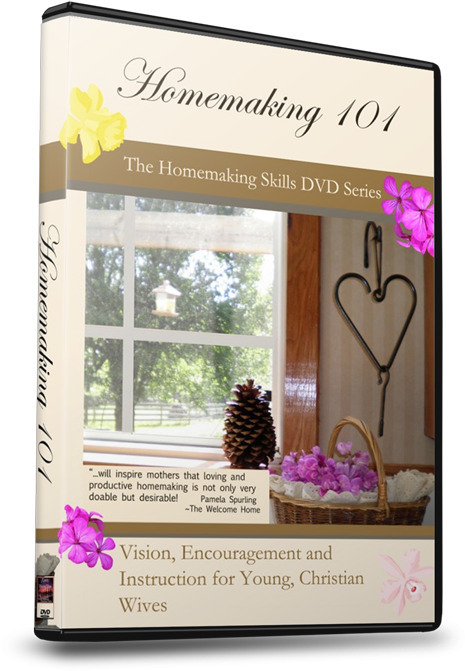 Homemaking 101 will show young wives and mothers with small children how to efficiently and joyfully manage their homes, offer heavy doses of encouragement and give vision for being a keeper at home. Great for gifts for newly married brides or new moms! What a wonderful documentary this will be! I know many moms – young and old, first-time and veteran, will glean so much from the wisdom, insight, and experience Jennifer shares in this timely documentary. Like she says, most of us didn’t grow up with a vision nor the training for homemaking. In a time when there is a dearth of “Titus Two Women” who are willing to come along and teach and guide younger ladies, this tender film will be so inspiring and encouraging – a breath of fresh air! 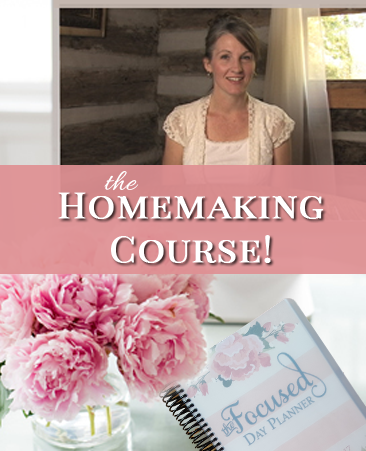 Homemaking 101 is absolutely wonderful! It is especially helpful for those who do not have any Titus 2 women in their live. It’s encouraging, insightful and full of sweetness. Thank you so much. We are expectantly waiting for the next one in the series. Jennifer, what a blessing you are! 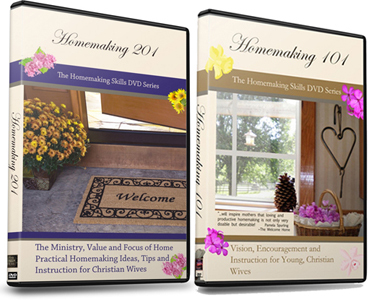 I got this dvd, knowing that I would enjoy it, but ultimately for my three girls–another resource in my teaching them to be homekeepers. But what started as something to encourage my girls encouraged ME! This video is encouraging. I loved the honesty. I took exception to the implication that if one isn’t homeschooling their children, they’re shirking duty. There are situations where children can not be homeschooled. Homeschooling is a calling, not a mandate- a personal evaluation for each family involving serious prayer & council. It’s hard to recommend a video with a section that may bring guilt & frustration to the people you want to recommend it to most. I wish I would have seen this before I was married. I have been married 18 years but still found such encouragement. Jennifer’s uncluttered home radiates a calm joy. She explains things simply and clearly in a cheerful way. I really value the Titus 2 woman parts. Many wives and mothers today did not grow up in homes where these things were intentionally taught. I look forward to the rest of this series. I ditto all of the above reviews ! Yes, I bought this for continued inspiration for myself ( home-keeper for 16 years ) as well as for my daughters. Our favorite part was the the proving that a very messy kitchen can be drastically improved in 15 minutes or less We need all the positive influences we can find for our families in today’s upside down culture. 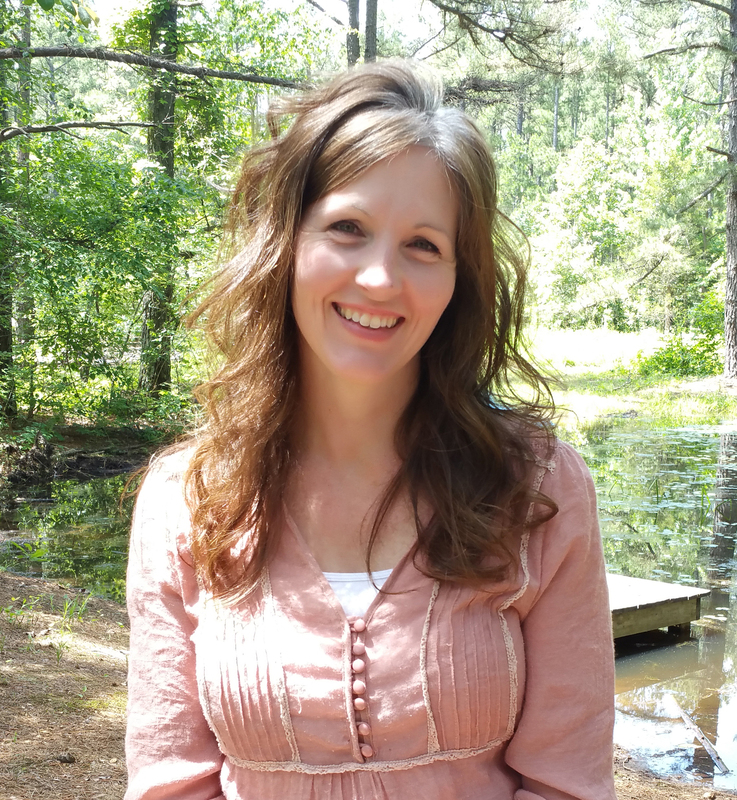 God bless you & your family Jennifer … Looking forward to the continued series ! Thank you so much for this video. I originally bought the DVD as a teaching aid in training my daughters, but found myself encouraged and edified as well. Our whole family watched it (7 sons & 2 daugthers) and we were all greatly blessed. As a pastor’s wife, I will be showing it to the ladies and young ladies of our church at a get together next week. Can’t wait for the next one! Many blessings to your family for your labor.